The Friends of the Performing Arts is a collaboration of community members, educators, university colleagues and alumni who support the Department of Music and Theatre Arts. Our mission is to promote excellence in music education and the performance arts and contribute to the quality of cultural life in the region. Thank you for supporting the performing arts at UW-Eau Claire. Please take in a performance soon! 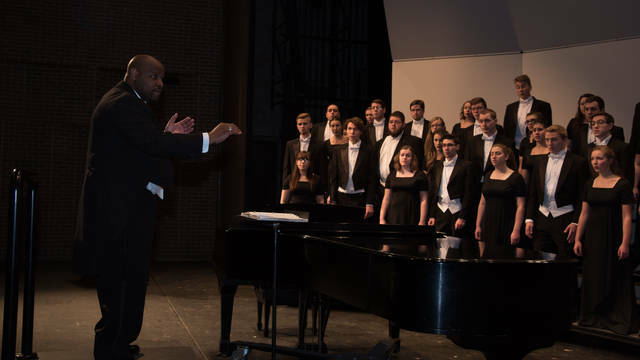 UW-Eau Claire students and faculty have performed abroad in South Africa, Vatican City and Beijing, just to name a few, and our faculty frequently bring world-class musicians and master classes to campus. Help us keep these opportunities available. 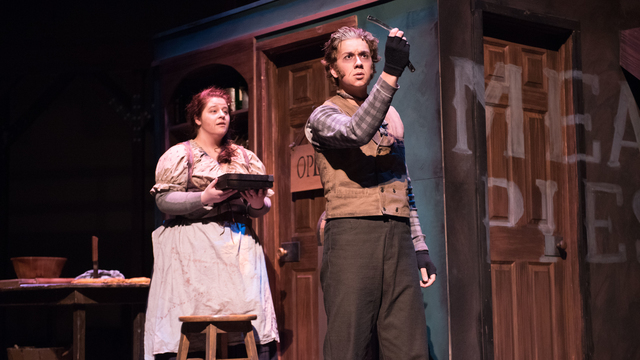 Theatre arts involves so many areas: singing, musical ensembles, playing instruments, performing, acting, directing, playwriting, stagecraft, design, literature, costuming, makeup and lighting, and is open to all UW-Eau Claire students. 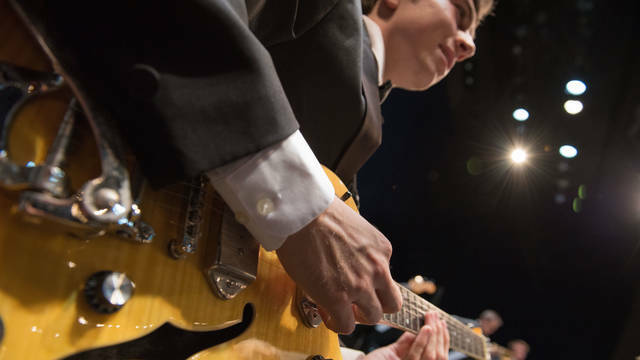 With approximately 400 singers and more than 50 music ensembles of all sizes, students develop their musical talent, becoming performers, music educators or lifelong music lovers. 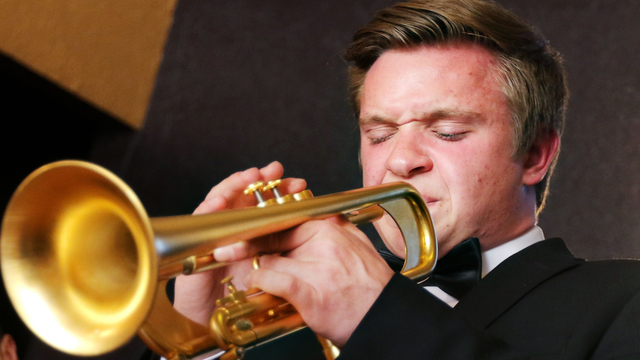 Our students have gained valuable cultural experience performing worldwide. 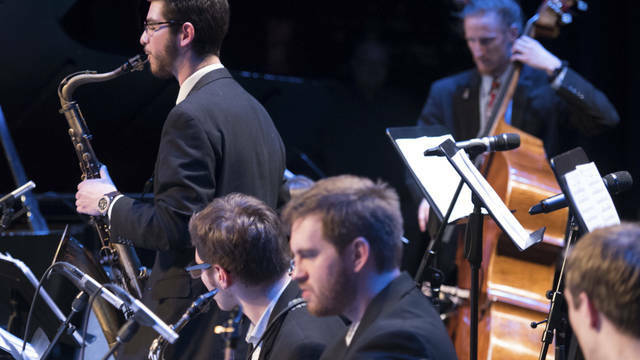 Our award-winning program is celebrating 50 years of educating future musicians and jazz appreciation, as well as receiving a collection of some of the greatest jazz music ever recorded. 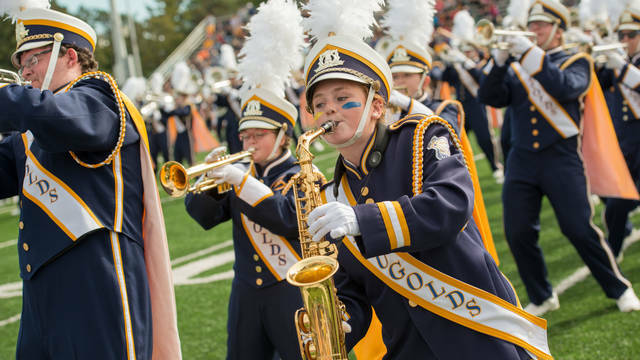 Through hard work and dedication, the Blugold Marching Band has become the largest marching band in the state of Wisconsin. With only 60 members a few short years ago, the band now has more than 350 members and performs around the world. Music and theatre arts are defining elements for the city of Eau Claire’s identity. The many music ensembles, concert and theatre series, festivals and venues, are a source of pride and foster a strong sense of community. 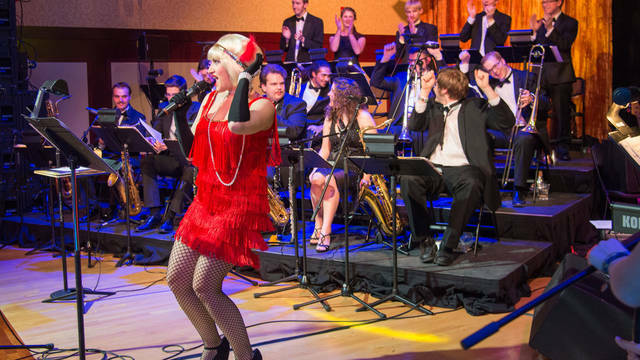 Dawson Redenius — a UW-Eau Claire music major — is the youngest member of Lorie Line’s Pop Chamber Orchestra, touring with the popular entertainer’s annual holiday extravaganza. 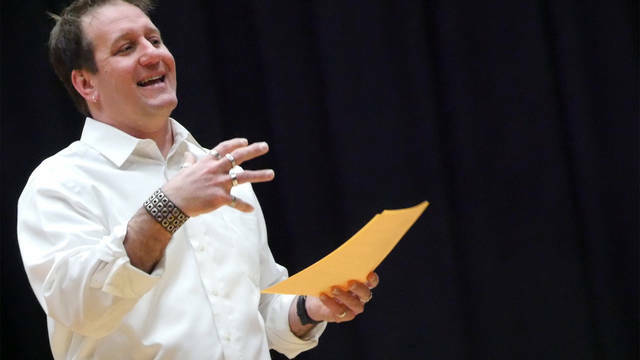 Arthur Grothe, artistic director and assistant professor of music and theatre arts at UW-Eau Claire, shares his passion for teaching and acting in a recent Blugold Spotlight, a video profile series that celebrates the campus community.